ERICE held its scientific conference on the 3rd of June 2015, in Tel Aviv, Israel. 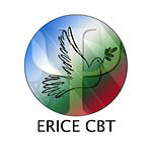 For the past ten years, ERICE has facilitated succesful meetings between leading Israeli and Palestinian mental health pratictionners and academics in Italy Replica Handbags in cooperation with ERICE's partner organizations and institutions: Foundation Child, Yale University, International Center for Missing and Exploited Children (ICMEC), Unicef, the Fetzer Institute and local NGOs. We berlieve it is imperative to continue this cross-border professional exchange. By encouraging professionals not only to participate in our cross-border seminars and trainings, but also to spread infomation and knowledge to outside constituencies or decision-makers, we hope to create a cadre of leaders that will help transform the attitudes and behaviour of the broader communities, thereby contributing to the mitigation of the conflict and increasing the probability of a sustainable peace. The conference consisted of three main parts. The first part of the conference addressed the theoretical and ideological aspects, and concentrated on fostering cooperation between Jewish, Arab and Plestinian mental helath professionals. The second part focused on the need to promote epidemiological studies and the third section of the conference was dediacated to Early Childhood Based research and interventions. This section included lectures by Prof. Ernesto Caffo, "Child trauma and epigenetics: how research and training may have an impact on political decisions and change children's lives", and by Prof. James Leckman who introduced the transformative power of Early Childhood Development in peace building and presented the important work of ACEV in Turkey and the Early Childhood Peace Consortium in partnership with Unicef.